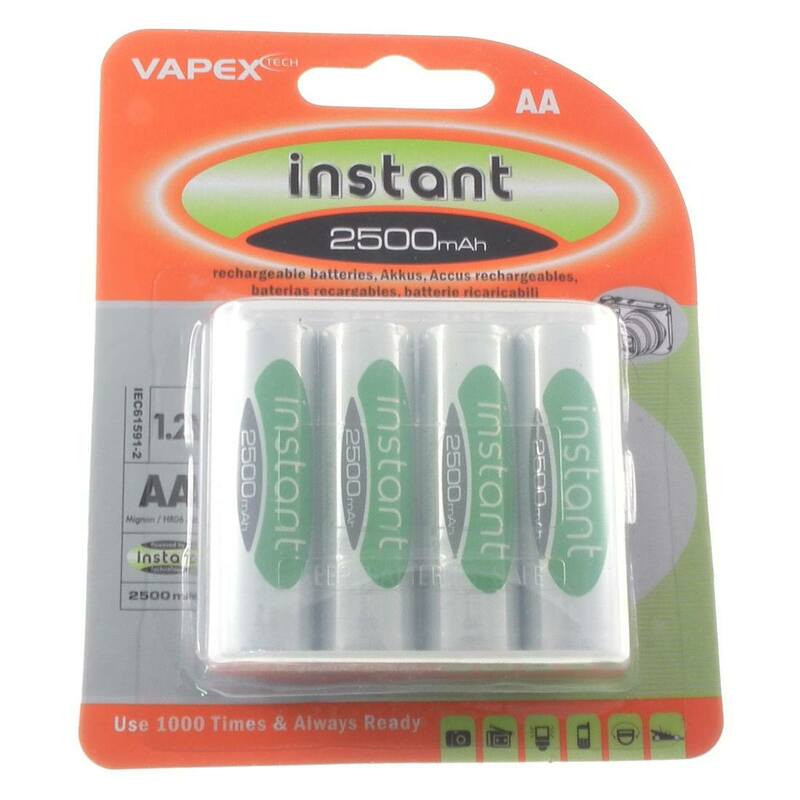 Vapex “instant” Batteries are the latest in rechargeable battery technology from one of the very few companies in the world capable of producing this latest innovation in rechargeable battery technology. 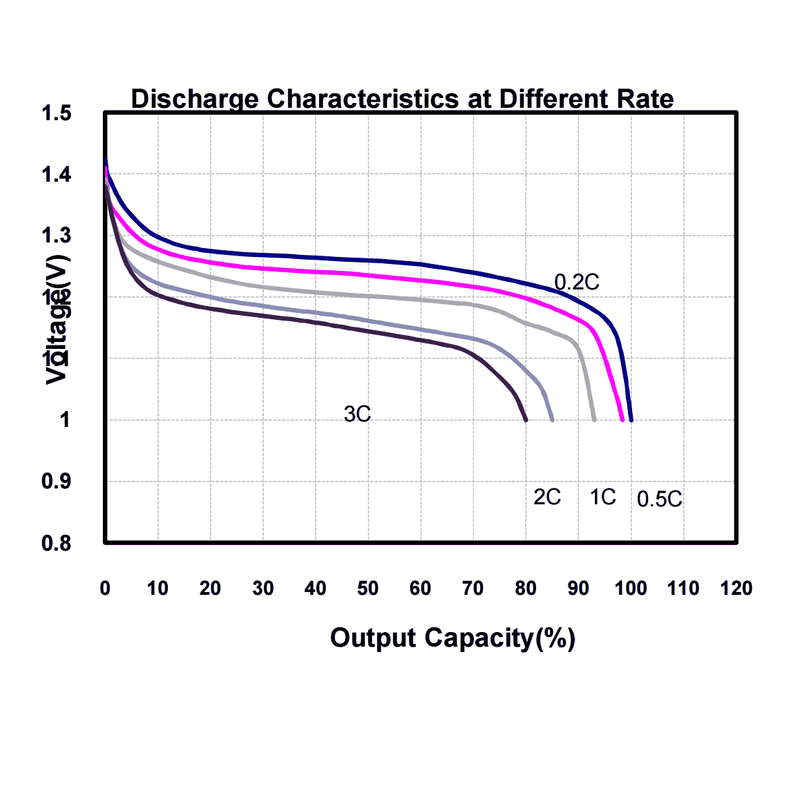 It is well known that high quality NiMH rechargeable batteries outperform disposable ones (including even the very best alkaline batteries) in power hungry gadgets such as digital cameras, but there were 2 areas where they had problems.. They had to be charged before first use. 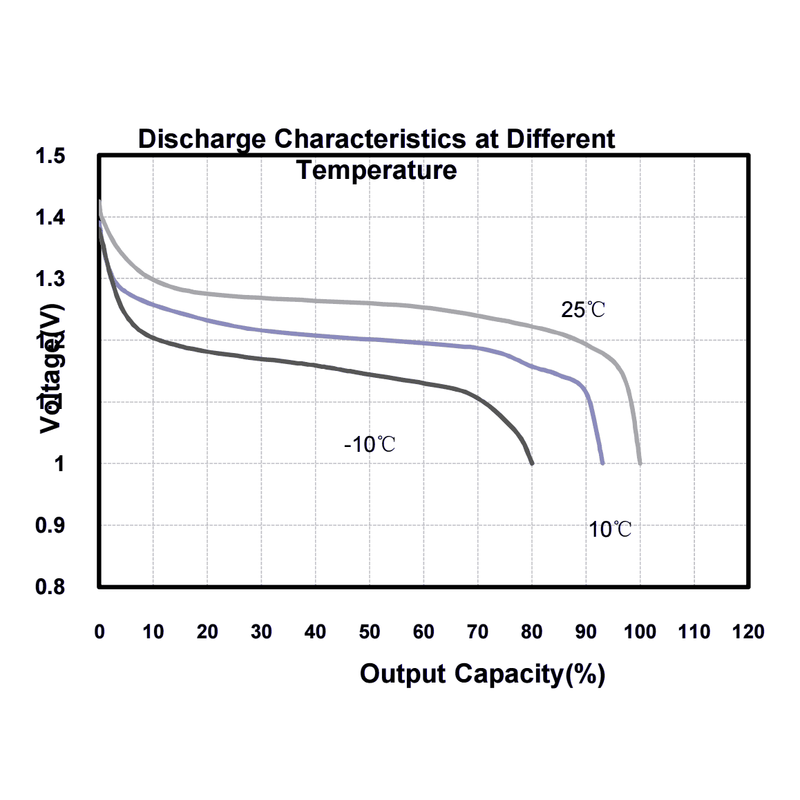 Once charged they would run down without even being put in anything, typically losing around 25% of the stored energy per month. 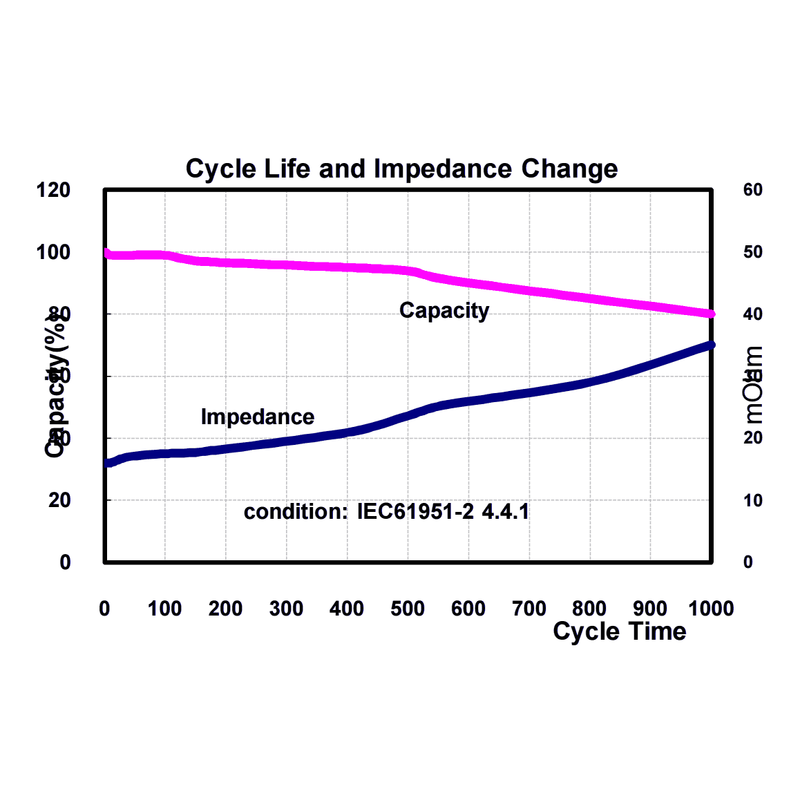 Not really a problem when you are charging them frequently, but for low power or occasional uses this could become inconvenient. 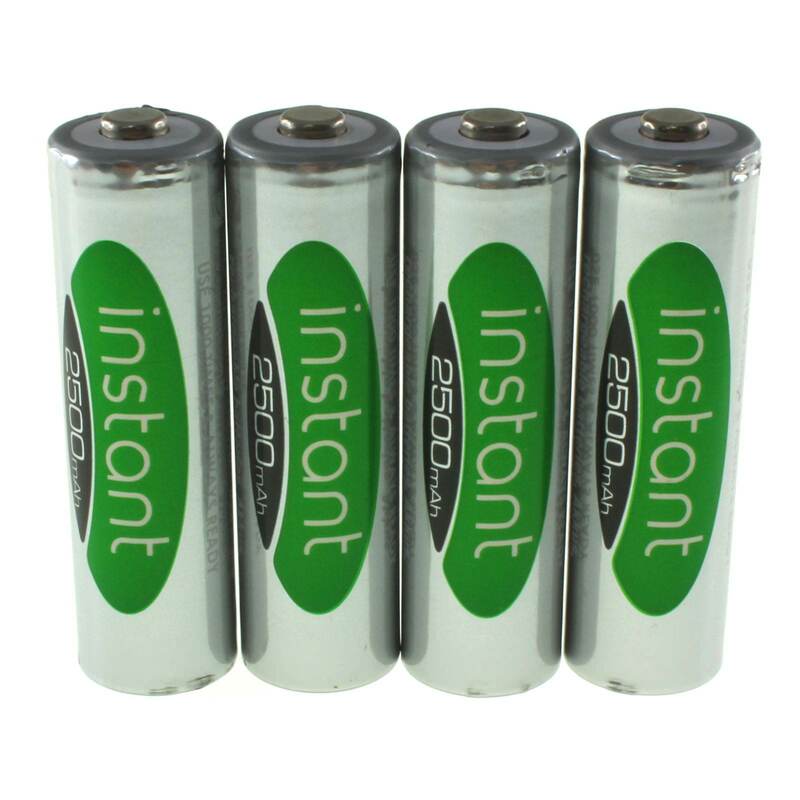 Below are our actual test results of the Vapex Instant 2500mAh batteries against the Panasonic Eneloop PRO 2500mAh batteries. As the Panasonic batteries are generally accepted as being the best there is (about the most expensive too!) 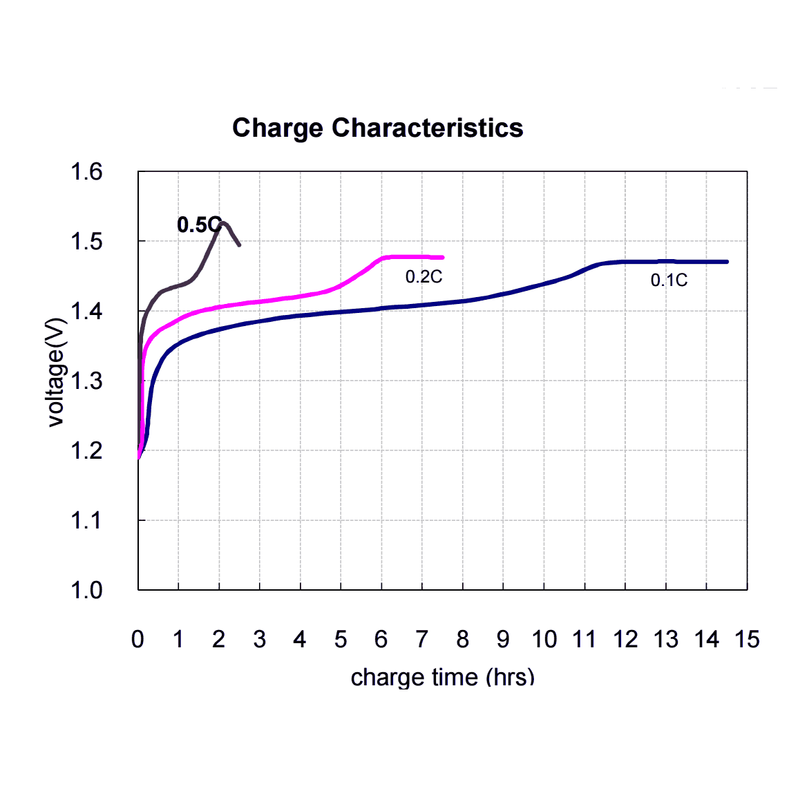 this just shows what exceptional batteries the Vapex instant 2500mAh ones really are. We test all our products to ensure that the quality is just as it should be & here the results speak for themselves. 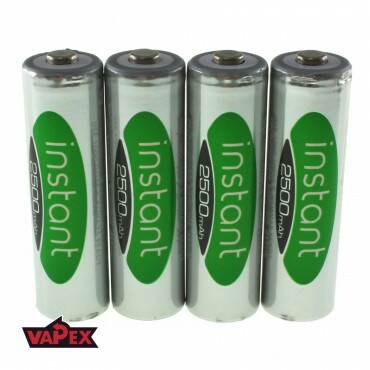 Actual measured capacities: Vapex instant - 2512mAh, Panasonic Eneloop PRO 2550mAh. 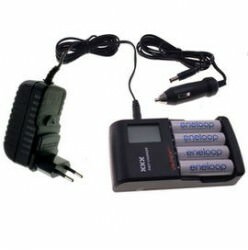 Batteries charged using our own 8-way AA charger.